Tamang Heritage trek is just to the north 09-10 hours drive from Kathmndu. 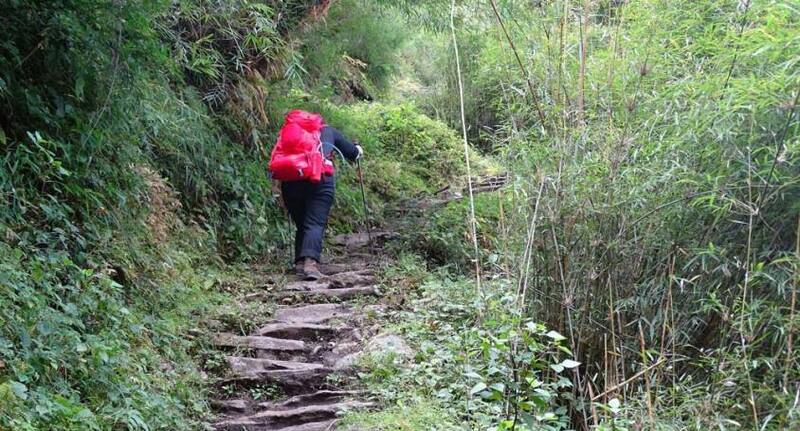 This Tamang heritage trek area is an ancient rich cultural heritage of the Tamang people / Tibetan origin ethnic group. Previously a restricted for trekking this unexplored northern Langtang valley has recently been developed as the Tamang Heritage Trail and opened for all trekkers . The people in this area are mostly of Tamang whose culture and crafts have remained unchanged. All these Culture, dress, traditionally built stone households and the beautifully carved wooden porches reflect the solitude and the serenity of the Himalayan profile at its best. We pass many Scenic view of mount Langtang, Kerung ( Tibetan Mountain) and Ganesh Himal are simply stunning. A fort at Rasuwagadi is a historical reminder of the Nepal Tibet relation that has existed for many centuries. We drive from Kathmandu to Syafroo and Syafroo to Kathmandu . During the trek we spend some nights at home stay with local people to explore and experience their culture, lifestyle and tradition at close hand which is rare on most of the other trekking routes. Day 03: Drive to Syafroo Beshi 1467 m.
Day 07: Trek Thuman to Rasuwagadi (Nepal china/Tibet border) 2400m. Day 08: Trek Rasuwagadi to Briddim 2229m.